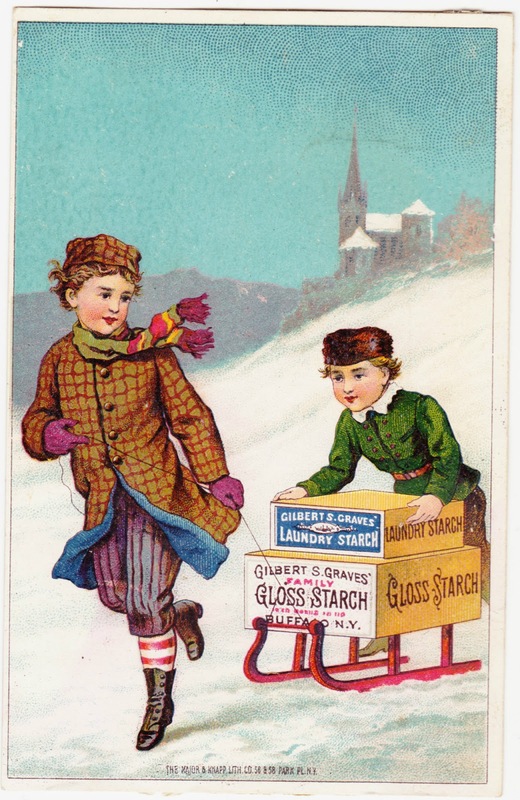 Here are two colorful cards for Gilbert S. Graves, a 19th century starch manufacturer out of Buffalo, New York. 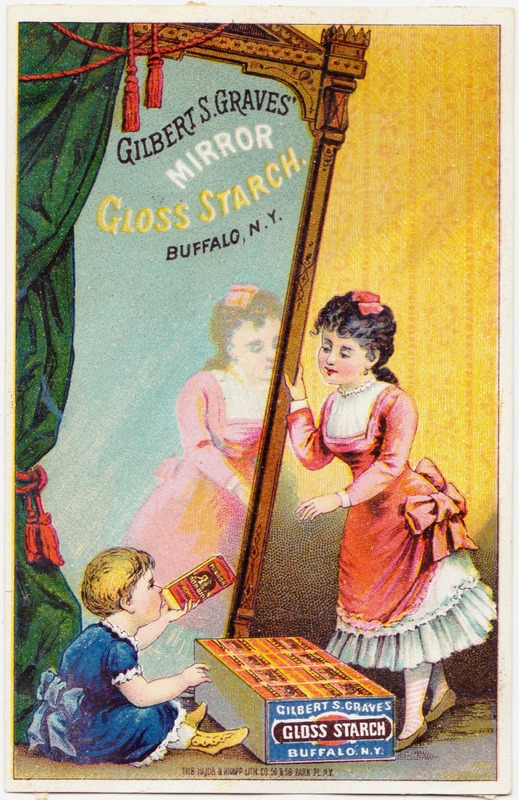 Their products included mirror gloss starch1, family starch and laundry starch. Both cards feature a complete 1882 calendar on the back. These are both great illustrations, but I think the second one is my favorite, because I like winter illustrations. That's a great scarf the girl has on, too. “What the …. cornstarch?” you ask. It’s absolutely, without a doubt the secret ingredient to clean, shiny, amazing mirrors (and windows, I’m sure). I kinda freaked out a little at the effectiveness of this one.